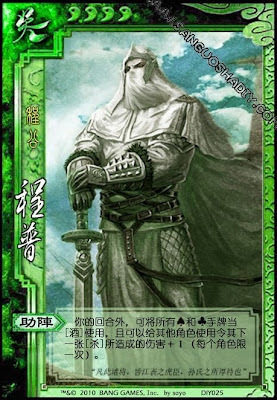 Outside of his turn, Cheng Pu can use any black hand card as wine. He can also use wine for another character during their turn to increase an attack. Cheng Pu can only give Wine to a character once during their turn.